I don’t remember my grandparents being overly religious, so I have to admit that I was surprised by all of the Catholic artifacts. 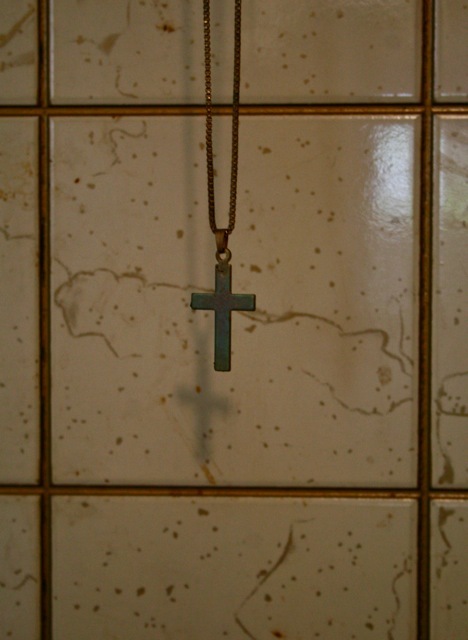 Catholicism has got to be the best religion for kitsch. 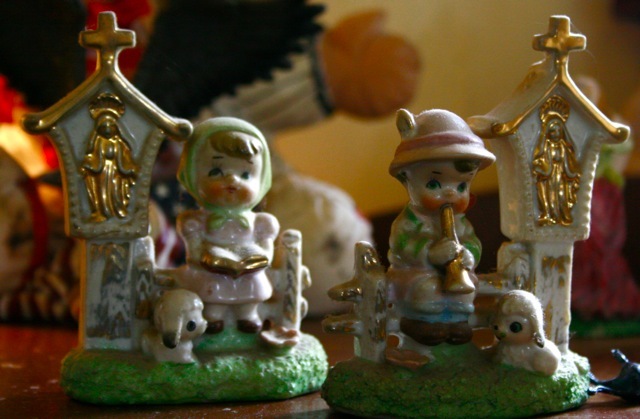 Even the figurines have their own kitsch. It’s tchotchkes all the way down. If only it were that cute! 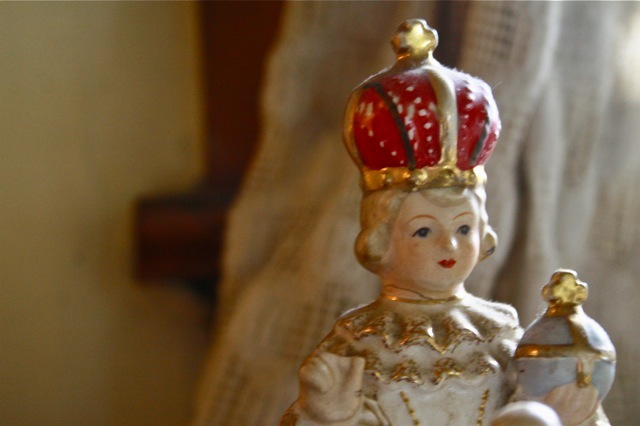 These are my favorite Catholic kitsch items of all time. Ack! Editing gone awry: “don’t think you meant it”! Thank you all for the comments over the last few weeks. I’m sorry that I haven’t had the chance to be more involved in the conversation. time to time in being able to access photos of my soul-home while jumping from place to place. You might say that it’s been quite grounding. I also have to sincerely thank you commenters for sending your voices my way — as for many of us, the Whatsit has really become a virtual home for me. I was originally planning on wrapping up this series with this last installment, but I think I’ll have a little more to say about it when I get home — think of it as a nice respite before the endless weeks of travel photos begin. I have shot over two thousand images while on the Continent. Sorry for the comment clunkiness, but I still haven’t gotten used to writing on my iTouch.